Michael A Jawer & Marc S Micozzi, M.D., Ph.D. have written an interesting book that helps you work through difficulties in your life including emotional problems which can lead to physical problems such as invisible diseases. The ones the authors discuss include: fibromyalgia, chronic fatigue and irritable bowel syndrome. The authors assert that having either too thick or too thin boundaries, and also not fully dealing with or accepting traumas that have happened in your life can manifest in physical symptoms which can lead to the aforementioned syndromes. The authors have organized their book very well with 8 chapters and 3 appendices that include a boundary questionnaire, references and discussions on boundaries, various chronic illnesses and feelings in general. The book really is easy to read and one does not need to have any sort of background in psychology or medicine of any kind to understand the points and ideas the authors are putting forth. 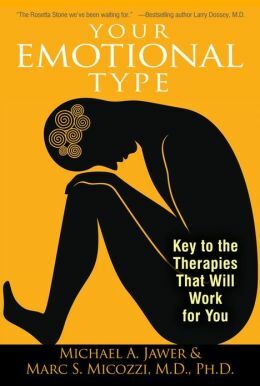 If one feels like the difficulties they are having are within the realm of this book, I highly recommend it as at the end of the book the authors put forth recommendations for treatments such as meditation, biofeedback and hypnosis. However, this book really is quite specific and if you are not interested in this exact subject I do not recommend it. Authors: Michael A Jawer & Marc S Micozzi, M.D., Ph.D.